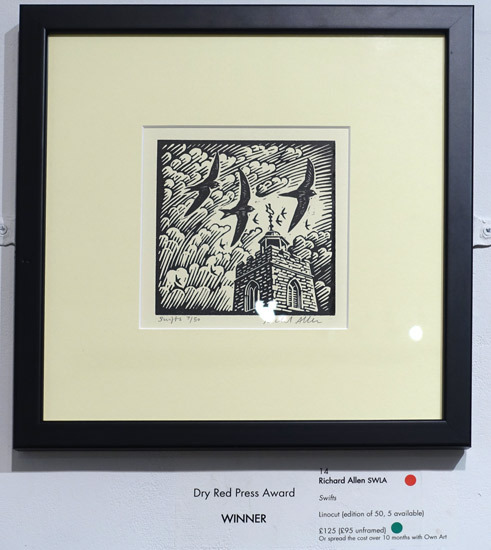 Dafila Scott initially trained and worked asa zoologist, before she studied drawing and painting with Robin Child at the Lydgate Art Research Centre. In 2014 she won the Birdwatch - Swarovski prize at the 2014 SWLA exhibition. 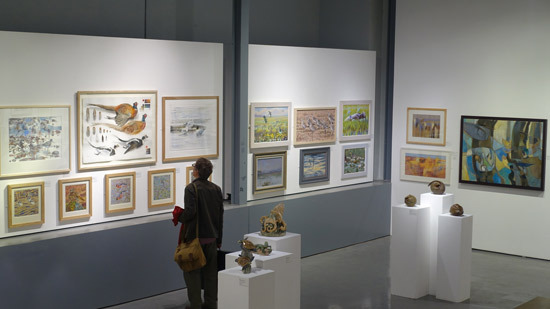 She also exhibits with Pinkfoot Gallery, Cley-next-the-sea, Norfolk and the Birdscapes Gallery, Holt - both in Norfolk. 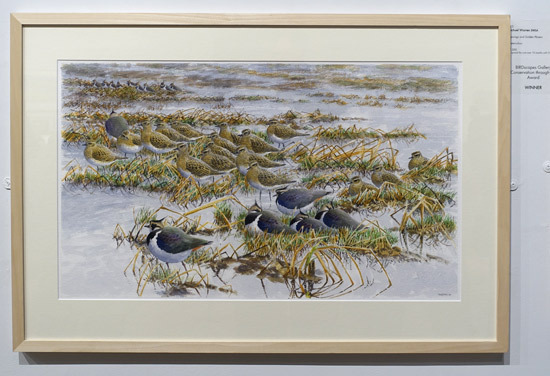 The Birdscapes Gallery 'Conservation through Art' Award went to Michael Warren SWLA for his contributions to conservation. He has been a member of the SWLA for over 30 years and until recently was also its Treasurer. 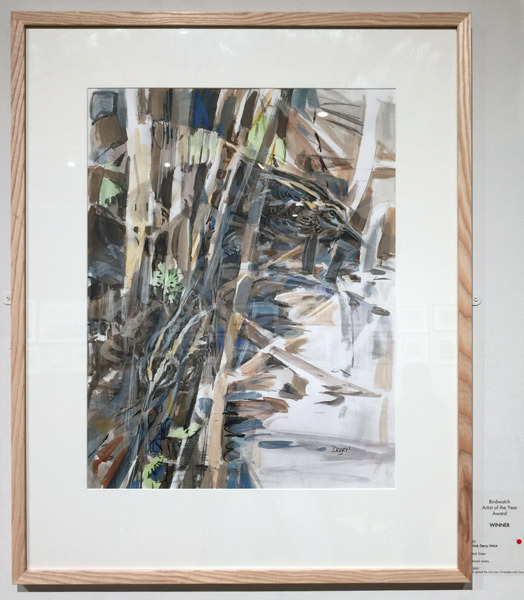 The PJC Drawing Award was presented to Chris Rose SWLA for Aberlady Bay. 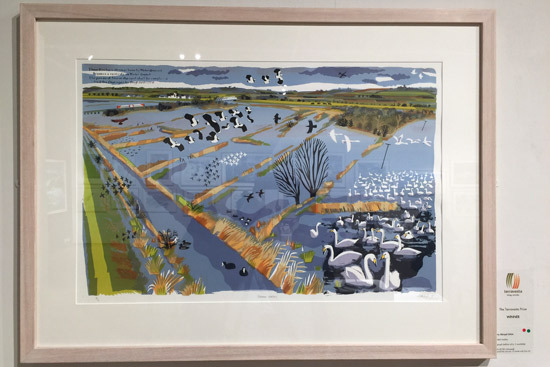 Chris specialises in painting wildlife in the landscape - in its own habitat. He was elected to the SWLA in 1984. 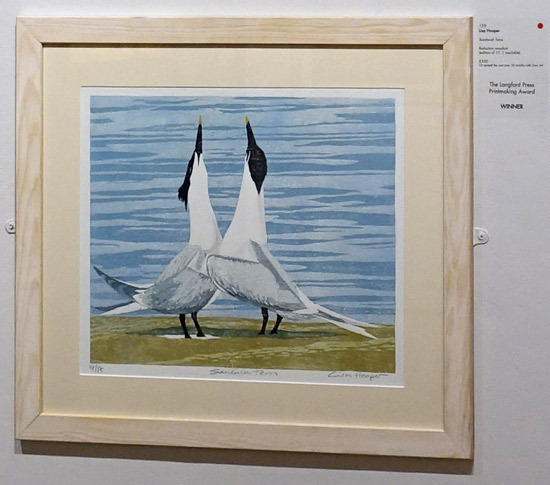 He's previously won Bird Illustrator of the Year and the European Bird Artist of the Year. 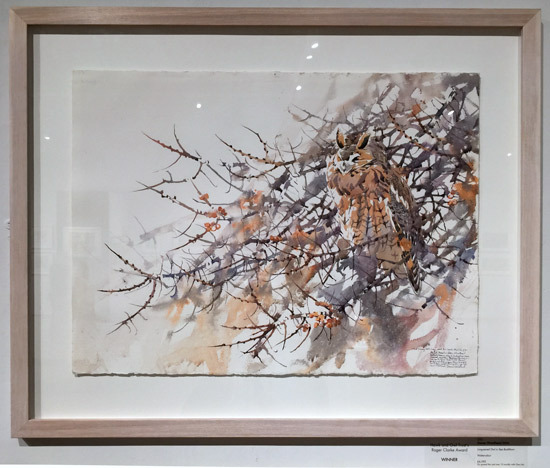 The Hawk and Owl Trust's Roger Clarke Award 2017 went to Darren Woodhead SWLA (Twitter Facebook) for his watercolour painting of a Long-eared Owl in Sea Buckthorn. 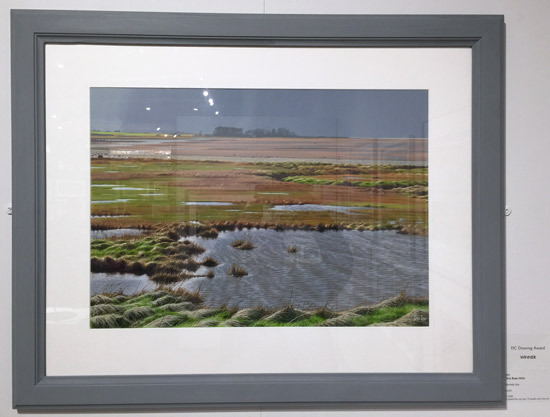 Darren Woodhead is a pure field painter based in East Lothian, Scotland. 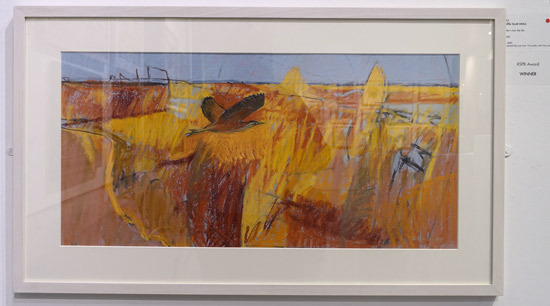 A Graduate of the Royal College of Art, he works direct in brush and watercolour outside: there is no studio. 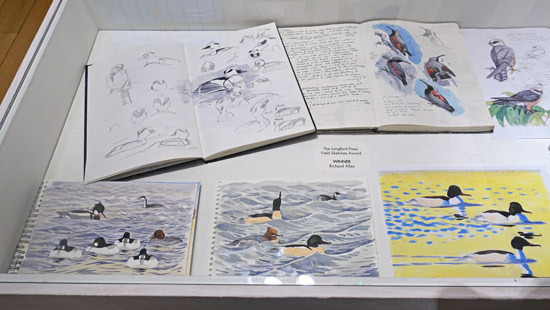 Richard Allen's sketchbooks won The Langford Press Field Sketchbook Award and are displayed in a cabinet in the North Gallery. I'll be including a photograph of Harriet's work in my blog post tomorrow. The aim with these awards is for children to create art based on what they've seen first hand. This is award is in memory of the legendary field ornithologist and bird illustrator Richard Richardson. I'm somewhat puzzled as to why it's been given for a painting of bears! 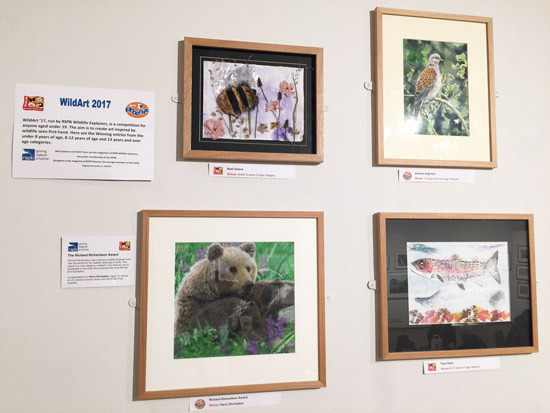 TOMORROW - my review of this open exhibition and some comments about the type of wildlife art that gets chosen from the submissions by non-members. Thanks for the beautiful paintings.